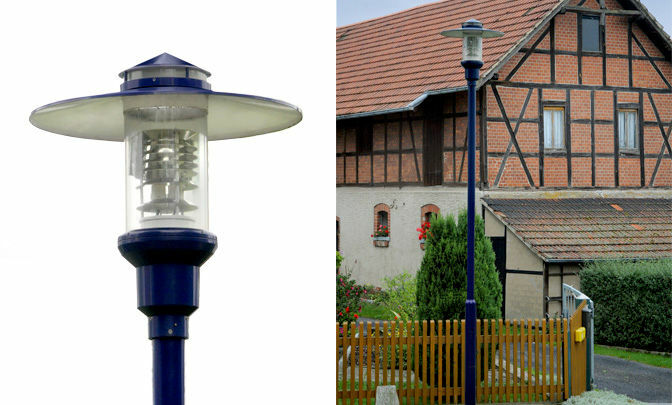 Housing and cover made of cast aluminium, shade and top cover made of aluminium sheet, pretreated and powder coated. All connection elements made of stainless steel. Shade, top and cover glued together. 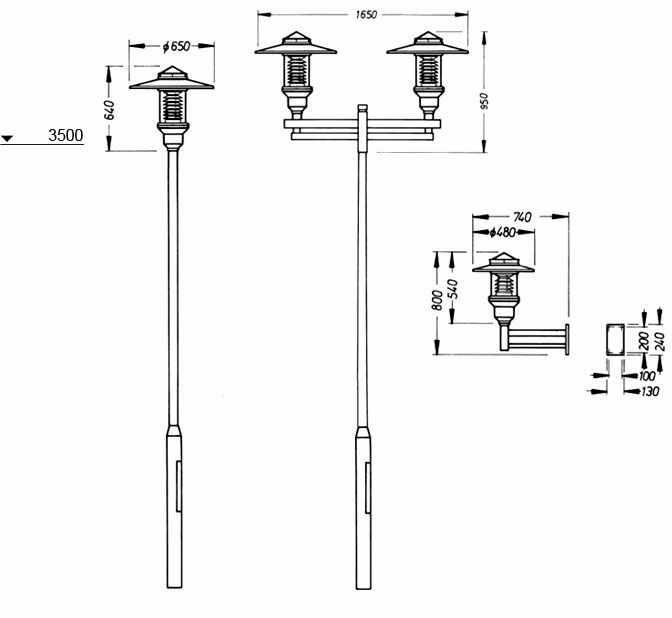 Installation elements with entire electrical modules for 230 V / 50 Hz, compensated. It can be separated via bayonet lock and disconnector socket. 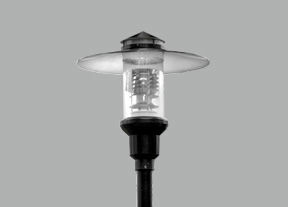 Covering made of UV-resistant and impact resistant plastic (Cylinder length 400 mm, wall light 300 mm), ; it can be separated via screw thread or bayonet lock with 3 screws to be loosened. Light guidance system of your choice. Ø 76 mm, extension arm Ø 76 mm.